We take pride in our reputation for delivering high quality balls and ball products in a wide variety of materials and tolerance grades. Our Quality Control department, using state of the art equipment, rigorously measure and check statistically for compliance with our customers' orders and relevant international standards ISO 3290, AFBMA Standard 10, and Din 5401. Certificates of Calibration or Conformance can be supplied, giving you the peace of mind in knowing these really are balls of the finest quality available today. With massive stocks of quality balls from 0.4mm to 100.00mm diameters, we are certain to stock your exact requirements. From our highly organised delivery system to our three day turn around on most special production orders (subject to quantity ordered) .... we offer a service rarely matched by our competitors. Our flexibility combined with extensive experience of ball finishing allows us to tailor our products and production capabilities to meet any requirement for precision balls. Whatever your precision ball needs, we have the ability and desire to deliver the right product, on time, everytime. Gauges are available double or single ended with wire-type handles. Half or part balls, balls with through or blind holes, balls with internal threads, or flats. In many instances where a spherical or partially spherical surface is required. Steel Balls are manufactured to a number of international standards produced to meet the needs of Bearing manufacturers. Of these standards, AFBMA 10, ISO 3970, and DIN 5401 are probably the most common. ISO and DIN are well known organisations, AFBMA, the "Anti Friction Bearing Manufacturers Association", is probably less well known, but in relation to ball specifications is probably the most important, and in general terms all major ball standards are based on AFBMA 10. DIN 5401 used to be the exception, but was brought into line with AFBMA 10 in 1993. Ball Diameter Variation - The difference between the largest and smallest diameter measured for a single ball. Ball mean diameter - The arithmetic mean of the maximum and minimum diameters measured for the ball. Sphericity or Deviation from spherical form. Lot - Normally a manufacturing batch manufactured under uniform conditions. Lot Mean Diameter - the arithmetic mean of the smallest and the largest mean ball diameters within the lot. Lot diameter variation - The difference between the smallest and the largest mean ball diameters within the lot. Gauge - The deviation of the lot mean diameter from the nominal diameter. Grade - A number by which the properties of the ball are specified. Previous versions of DIN 5401 used class rather than grade. All of the Ball Specifications discussed have been developed to cover the requirements of the bearing industry. As a result some aspects of the specifications whilst important to the needs of bearing manufacture have little relevance to other applications. A high precision angular contact bearing may contain 40 or more balls. If the bearing is to function correctly with minimum run-out, it is essential that variation in ball size is minimised. For this reason the maximum lot diameter variation is specified as twice the allowable spherical error 0.5µm for grade 10. When the same ball is used singly in a check valve this tight control of size within a lot is unnecessary. For this reason it is helpful to the requirements of a specific application in terms of the properties required from the ball, and then look for the highest grade that will satisfy them.This approach can avoid the specification of an unnecessarily high grade of ball and by doing so considerably reduce cost. Corrosion Resistance No natural resistence to corrosion, prone to rusting in damp atmosphere. Care must be taken to avoid moisture in both use and storage. Availability Excellent, Available in a wide range of sizes from 0.5mm to 150mm, although availability is limited for sizes above 75mm. Available in a fair range of sizes from 0.5mm to 50mm, although availability is limited for sizes above 30mm. Applications Ball Bearings, Valves, Ball Screws where corrosion resistance is required. Corrosion Resistance Provides a good combination of corrosion resistance with hardness. Although not quite as good as 440C it provides a good alternative in most situations. Availability Good, Available in a wide range of sizes from 0.5mm to 50mm+. Availability in larger sizes tends to be better than 440C. General Information A hardenable stainless steel with similar properties to 440C, it provides a less expensive alternative to 440C. Corrosion Resistance Very high corrosion and chemical resistance. Can be supplied with approval for food processing and medical applications. Availability Good. Available in a fair range of sizes from 1.0mm to 25mm, but can be produced in almost any required size. Applications Ball Bearings, Valves, Ball Screws, Food Processing and Medical applications where the low hardness can be overcome. Body Jewelery. General Information An Austenitic stainless steel, 316 provides a high degree of corrosion and chemical resistance. However, its low hardness can provide problems if loadings are high. Corrosion Resistance Very high corrosion resistance, although not quite as good as 316. Chemical resistance is also reduced. Availability Good, Available in a fair range of sizes from up to approximatley 25mm. As with 316, can be produced in almost any required size. Applications Ball Bearings, Valves, Ball Screws where the low hardness is acceptable. General Information An Austenitic stainless steel, 304 provides a high degree of corrosion resistance. However, its low hardness can provide problems if loadings are high, and balls are easilydamaged. Of all the engineering ceramics so far developed, silicon nitride offers by far the best combination of properties for most applications. Its hardness, combined with toughness allows use in many situations where conventional ball materials fail, or have unacceptably short life. Its increasing use for high speed bearing applications and resulted in significant cost reduction such that it can now provide a cost effective solution for an ever increasing range of problems. Types: Various Types are produced, but for ball production material should be Hot Isostatically Pressed. Silicon Nitride with either Yttria or Magnesia. Material producers include Toshiba, and Norton Abrasives. Corrosion Resistance Extremely Good Resistance to most chemical environments. Low mass can significantly reduce forces and inertia in high speed applications. Hardness is retained to above 1100 degrees Celsius. Low wear rates in rolling contact with steel. Availability Improving, but tends to be available in a small range of sizes. Applications Ball Bearings, Valves, Ball Screws, Pumps, Measuring Application, Fuel injection Systems. Widely regarded as the most significant of the engineering ceramics, Silicon Nitride is being used in an ever increasing number of applications where it unique combination of hardness, low mass provide significant performance advantages. Cost has decreased significantly over the last 5 years, to the extent that Silicon Nitride is becoming a cost effective option for many applications. Availability Limited range of sizes are produced as standard. Material Composition Balls are produced from synthetic Ruby and Saphire. Balls are translucent red/pink (ruby) or clear (saphire). Colour of ruby balls can vary from pale pink to dark red. Note: Single Crystal Alumina is bi-refringent. Reasonable availability in sizes from 0.35mm up to about 15mm. Applications Principle use as contact piont in measuring equiment, transducers, touch probes. Single Crystal Alumina are used in significant quantities for stylus applications. For this reason balls are often supplied pre-drilled with blind hole for mounting purposes. 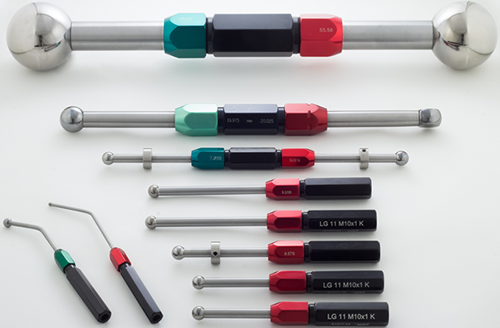 It should be noted that when measuring aluminium, alumina is transfered from the component surface to the styli and can reduce the accuracy of measurement. Corrosion Resistance Generally Inert, although may be effected by some extreme chemical environments. Balls retain hardness and structural integrity to very high temperatures - ~ 1900#C. Toughness is high although the material has a tendency to porosity, which may degrade performance in high load applications. Modulus of thermal expansion is similar to that of steel allowing design clearances to be maintained after material substitution. Availability Good - balls are produced in a range of sizes, and can be made to almost any size required. General Information Zirconia balls are used across a wide range of chemical process aplications, and are extensively used in oil well pumps. They offer long life in arduous environments. But other compositions are available with Cobalt content up to 25%. Hardness reduces and toughness increases with increasing cobalt content. Cobalt binder material is reasonably resistant to corrosion. The Cobalt binder will corrode in contact with water, but the effect is largely cosmetic in that the balls loose their polished appearance, with little effect on performance. De-ionised water does pose a more severe problem, as it can tend to promote 'leeching' of Cobalt from the binder. Erosion of the binder can be a problem when in contact with abrasive particles as may occur in some valve and pump applications. Special Properties Hardness if retained to approx. 800 degrees Celsius. Balls can be brazes to steel stems to allow mounting, or hole may be produced by spark erosion. Availability Balls are made in a wide range of sizes from 0.5mm to 50mm and can be made in larger sizes. Applications Valves, Pumps, Ball Screws, Measurement Standards, Gauging, Wear Parts. General Information Cobalt Binder Tungsten Carbide is in many ways an ideal material for ball production. Its hardness and stiffness allows the production of extremely accurate balls, with very fine control of final size. The material is extremely stable and these properties make Tungsten Carbide Balls and ideal choice for reference standards in metrology. Equally, the same properties make the balls and ideal choice for all applications where wear rates need to be low. Some types have Chromium Cardide content to improve corrosion resistence. Corrosion Resistance Generally good, and considerably improved over Cobalt binder material. Nickel Binder Tungsten Carbide can often be used in a range of chemically agressive environments, where they offer a significant cost/performace advantage. Corrosion Resistant, Effectively Non magnetic, athough some varieties do exhibit minimal magetic effects. Hardness is retained to approx. 800 degrees Celsius. 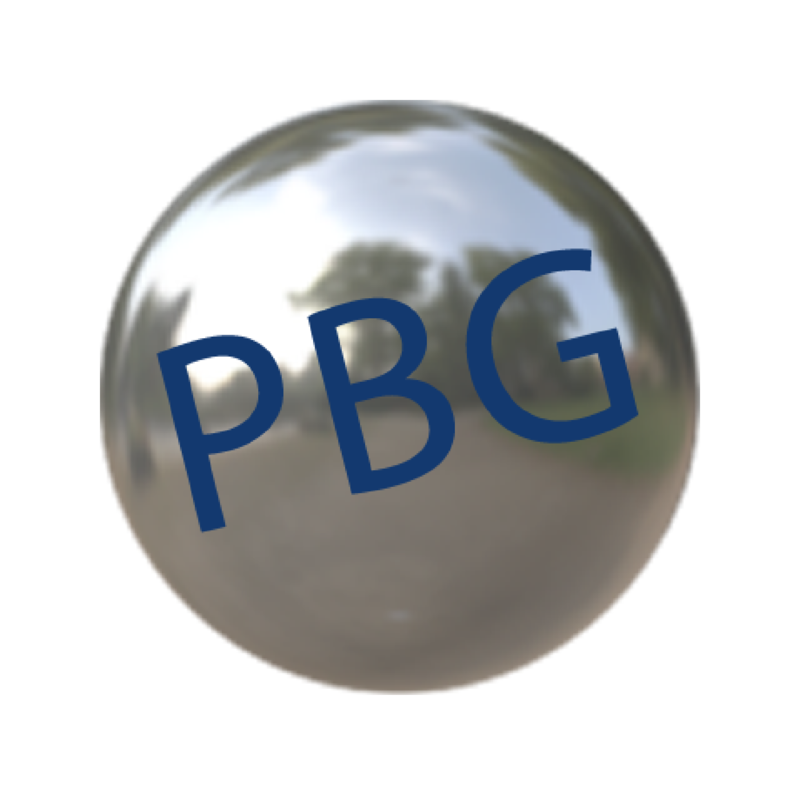 Balls can be brazed, although special fillers and fluxes may be required. Availability Good, Balls are made in a range of standard sizes, but can be made in any size from 0.5mm to 50mm if required. Applications Bearings, Valves, Pumps, Spray Guns, Liquid and Paste dispensing equipment. General Information Nickel Binder Tungsten Carbide offers an attractive package of properties for a range of common industrial applications. It can be succesfully use in many aggressive environments where it offers performance simmilar to that of ceramics without some of the attendant difficulties, often at a significant cost advantage. In addition to balls - our other products. 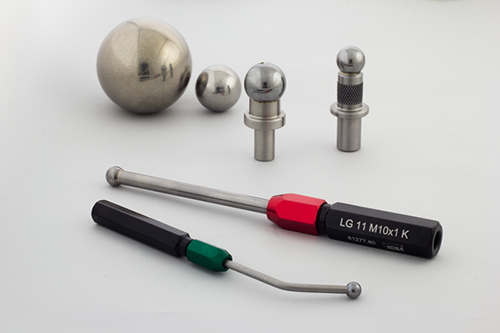 These high quality ball sets are used extensively in: Standard Laboratories, Inspection Depadments, Tool Rooms and for measuring internal grooves, tapers and setting comparators. 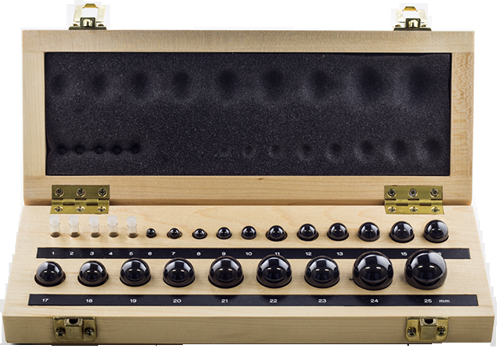 Each individual set can be supplied with or without its own wooden display case and certificate of calibration. These are the ultimate ball sets for total accuracy. l All Ball Sets available in Grade 10 or 25.
l Manufactured in Tungsten Carbide of hardened Stainless Steel. l Supplied in an attractive solid ash case. 1mm to 25mm in 1mm increments. l All sets can be supplied with a certificate of Calibration which lists the actual diameter for each balls. l In house (ISO 9002) Certificates supplied with each set. l Certificates traceable to NIST or NAMAS available on request. Gauges are available double or single ended with Wire type handles. General Bore Gauging, Checking Radii, Thread and Gear Measurement. Gauging is carried using a single ball diameter, and is correct irrespective of gauge alignment allowing rapid in-process checking without the risk of jammed or broken gauges. 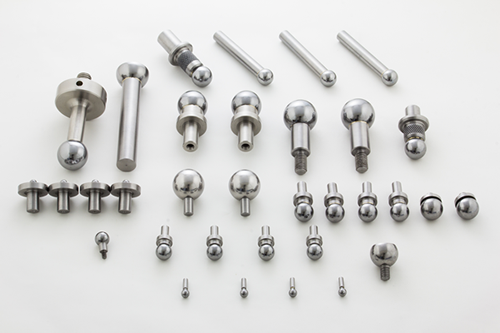 Tungsten Carbide and hardened Stainless Steel Balls are widely used to provide locations and position reference for both manufacturing tooling and for metrology. Tungsten carbide has the advantage of high hardness 1500 - 1600 Hv, and a low coeficient of expansion. Stainless Steel offers the same dimensional accuracy, and has a coefficient of expansion which matches most steels. It does require greater care in handling, but is prefered in some metrology and fixturing applications. Examples shown are of our standard types, which are available in a range of sizes and configurations. Additionally, we frequently manufacture to customers drawings and specifications. Balls on Shafts, Stems, or Wires. Half or part balls, Balls with through or blind holes. Balls with internal threads, or flats. In many instances where a spherical or partially spherical surface is required, manufacture from all ball offers significant advantages in terms of accuracy or cost. Ballizing provides a simple method of producing tightly controlled hole tolerances at very low cost. In practice ball of the appropriate size is pressed through a pre-machined bore causing plastic deformation to occur in the bore wall. Elastic recovery then takes place, and produces the final the final hole size. The Daily Grind - Perpetual Motion?? Modern Engineering Ceramics are being used in increasing volumes throughout manufacturing industry. They offer a range of interesting and often valuable properties are difficult or indeed impossible to achieve with other materials. The nature of these materials, particularly the combination of hardness and stiffness makes them ideally suited to the production of high precision balls. Combining hardness and toughness with low mass, Silicon Nitride offers significant advantages in high speed bearing applications, and for these reasons it is finding increaing application in arduous bearing applications such as machine tool spindles and vacuum pumps. 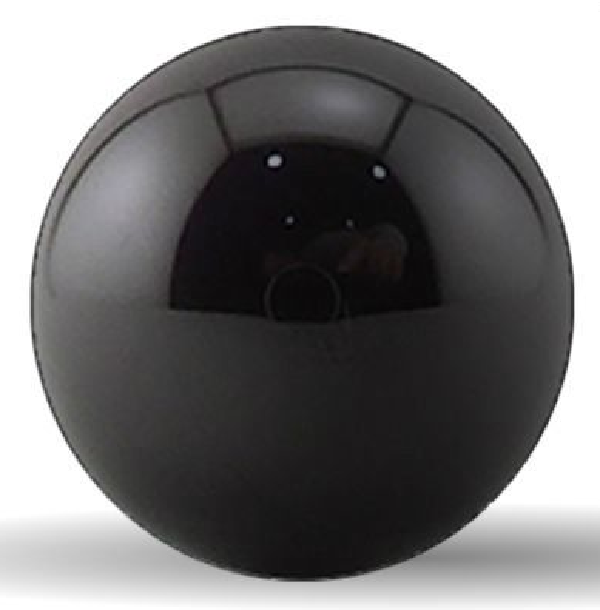 Increasing use and production volumes have dramatically considerably reduced the once astromomic cost of the material so that silicon nitride balls can offer extremely cost effective solutions to common industrial problems. 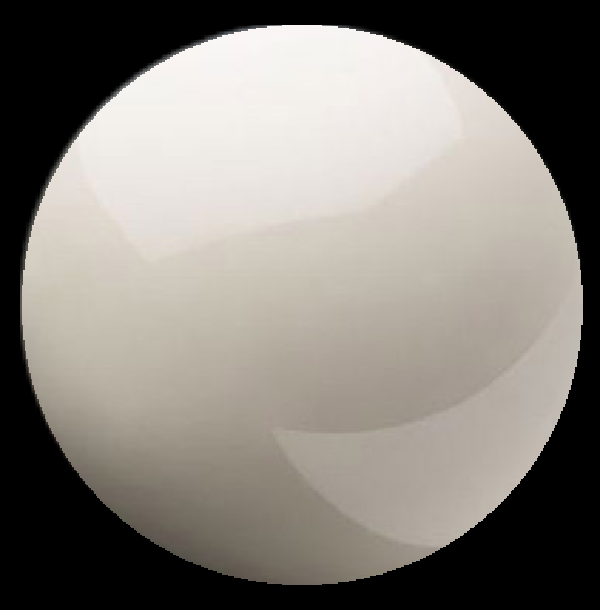 Alumina is used in 2 forms for ball production. Alumina balls range in colour from almost white to a creamy yellow colour. The material is very harder, but less tough than either silicon nitride or alumina. Structurally the balls perform well, but are prone to localised surface damage, which ultimtly promotes failure. Alumina balls are wideley used medical applications particularly for replacement hip joints, and in valves and pumps for agressive chemical environments. Single Crystal alumina is widely use for contact point for measuring equipment, and in this application provides good wear resistance at an effective price. 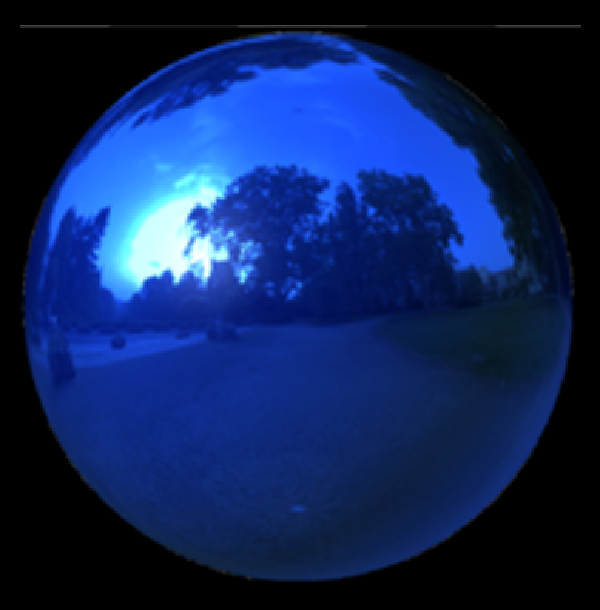 Saphire balls are clear, perhaps with a blue tint, and are far less common than ruby which range in colour from almost clear to dark red, Balls are often supplied with drilled holes for mounting purposes. Zirconia in its partially stabilised form offers a number of useful properties. It can withstand very high temperatures without deterioration, it has a similar rate of thermal expansion to steel, it has a high toughness, and it is relatively inexpensisive. It does have a tendency to porosity, and which can prompt failure in some circumstances, and tends to make it unsuitable for high stress applications, but it is widely used in pumps and valves for agressive environments, and for measurement satndards. Balls shapes are made in other ceramic materials, usually for very specific applications. Cubic Zirconia balls are used as lenses in some very specialised fibre optic systems, but they are not generally available. Silicon Carbide is interesting for some applications, particularly its "conductive" forms, but its inherently low toughness makes ball production difficult and consequently expensive. 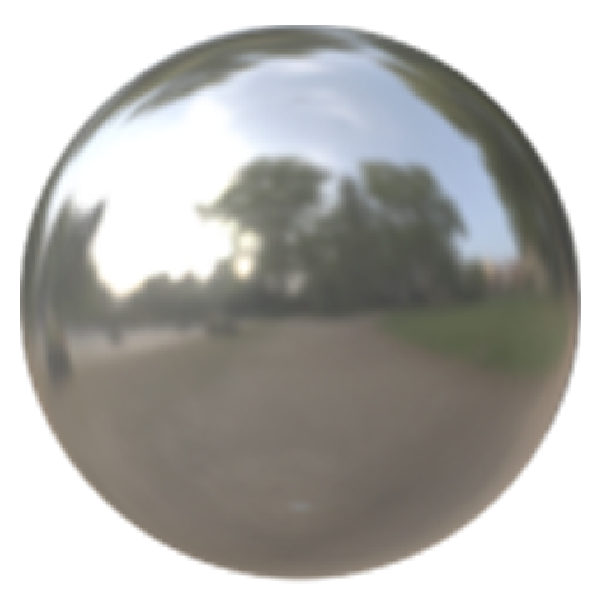 Off all of the precision balls produced, probably more than 90% are steel, and the bulk of these are chrome steel. The scale of production is such that steel balls provide the most cost effective solution for all applications where their properties are appropriate. Tungsten Carbide or more correctly Cemented Tungsten Carbide is strictly a "cermet" - ceramic metal combination, where particles of ceramic, tungsten carbide, are bonded together in a metal matrix. Originally produced as a cutting tool material - a market which it now dominates, Tungsten Carbide is widely used where hardness and high wear resistance is required. Variation in the binder percentage, and the size of the carbide particles allows fine control over the properties of the material, hardness reducing and toughness increasing with increaing binder content. The binder material also contributes to the overall properties of the material. By far the most common form of Tungsten Carbide, Cobalt binder material is made in a range of compositions with up to 25% binder. Balls are generally made of material with a 6% binder content. It is suceptible to corrosion of the cobalt binder, particularly in contact with water, and although this rarely results in structural falure it can cause severe degradation of the ball surface. Nickel binder Tungsten Carbide is far less common than cobalt binder material, is not made in same range of composition, and tends to be slightly softer. However. it offers significantly better resitance to corrosion. It is particularly usefull in valve and pump applications, and it performs well in more agressive chemical environments. Stellite balls are made in a small range of sizes, and are used in a number of specific applications. The material provides a useful combination of properties in that it is metalic, conductive, non magnetic, has good hot hardness and shock resistence and corrosion resistence. Where precision balls are required with combinations of these properties, Stellite often offers the most effective solution. Used for a number of medical applications, body jewelry, and some industrial applications, titanium balls are available in a small range of sizes. The low hardness ~40 HRC, limits the precision to which balls can be made, but where other properties of titanium are necessary they can often be used effectively. Titanium balls can be supplied in medically approved grades, and for decorative applications can be supplied eith coloured surface. Brass and Bronze balls are made in a good range of sizes, and are often used in gas applications where non sparking materials are specified. They are also used in decorative applications. How thick is the case hardening on Chrome Steel Balls ? Chrome Steel Balls are through hardened, case hardening is only used on carbon steel balls. What are Standard Sizes, I always seem to have trouble obtaining 13mm steel balls quickly ? I need to use a ball in a valve at 400C. Steel and TC wont work and ceramics are to brittle, what can I do. Have you tried Ceramics ? Modern Engineering Ceramics are well suited to these sorts of application and in most circumstances are unlikely to fail. The materials are "brittle", as is cast iron, but the forces required to cause failure would cause similar failures in most other materials, including steel. The weights shown are based on Chrome Alloy Steel balls. Value Added Tax (VAT) at the current rate will be applied to the combined value of goods and postage. We only process orders once payment has been received. Returned goods will be credited, pro-rata to the buyers account, but will exclude any postage incurred by the buyer. Returned goods may be subject to a re-stocking charge. We do not use 'cookies' to store infomation on your PC about your visit to our website.